I thought this looked good from the get-go. I was actually surprised to hear how many people thought this was going to be crap and were generally not interested in it.I feel like I saw the first trailer forever ago and even then thought Tom Cruise's performance looked interesting and really fun. It turns out the whole movie is pretty interesting if not a little predictable, but all the way, its a fun ride. 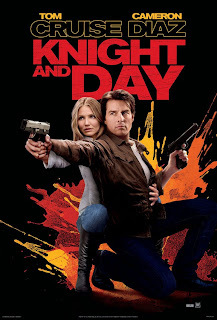 It is easiest to sum 'Knight and Day' up as a great summer date movie. It has some serious action sequences and tons of exotic locations as well as having a "romantic story" at its center. The "love" aspect of the film doesn't really seem to come into play as often as it should, being sporadically hinted at in looks throughout the film until the moment Ms. Diaz realizes what all has been goin down. I have yet to see 'The Killers' and hate to think that this is a more expensive version of that film. I feel as if this was in production long before the Kutcher/Heigl vehicle and although I don't have a problem with either of those actors, I simply find Cruise and Diaz more fun to watch and in the end to be better at their skill than the other two. 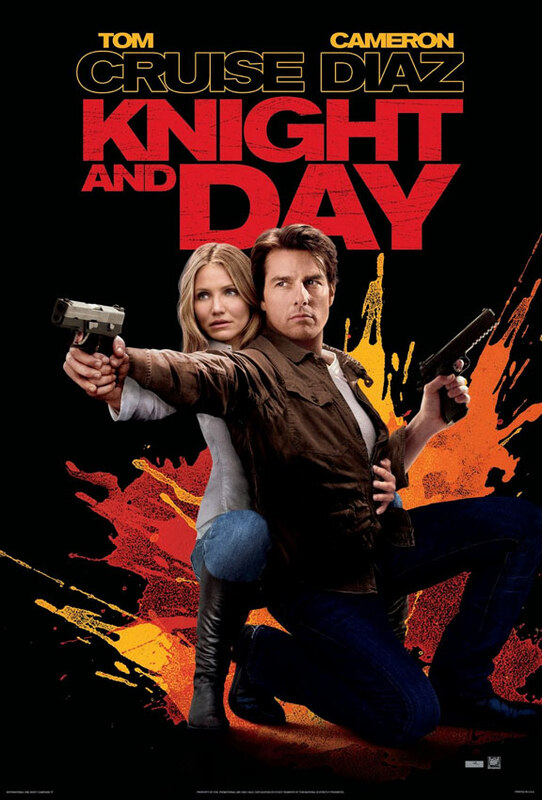 'Knight and Day', for me, simply has more credibility as a film. It was directed by James Mangold who also directed 'Walk the Line' (one of my favorite movies ever) and the remake of '3:10 to Yuma'-and he is able to create this kind of throwback to action/romance pictures of the past with a flair for all that is new and current. It has a classic undercurrent to it, especially in one of the final scenes where Cruise walks up to Diaz, bullets blazing in the background, and simply lays one on her without regard to the war going on behind him. It is a tad cheesy, yes, but it sums up the balance of ridiculous action and romance Mangold was going for and almost accomplishes. The story is one you could have guessed the conclusion of after Cruise briefs Diaz of the situation about a half hour into the film. Before that we are as in the dark about whats going on as Diaz is and to be honest that was the most enjoyable part of the film. Mangold and the screenwriter should have held out on us longer, allowed us to try and figure out what was going on for once we found out the situation it was still fun to watch these two go through the actions, but the suspense simply wasn't as...suspenseful. Go and see 'Knight and Day' it probably isn't as bad as you've heard, who knows, it may even surprise you.